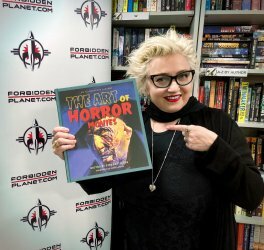 This magnificent companion to the award-winning The Art of Horror, from the same creative team behind that acclaimed illustrated volume, looks at the entire history of the horror film, from the early 1900s to the latest releases and trends. 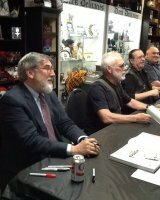 Through a series of informative chapters and sidebars chronologically charting the evolution of horror movies for over a century, and profusely illustrated with over 600 rare and unique images including posters, lobby cards, advertisements, promotional items, tie-in books and magazines, and original artwork inspired by classic movies, this handsomely designed hardcover celebrates the actors, filmmakers, and artists who were responsible for scaring the pants off successive generations of movie-goers. Compiled by multiple award-winning writer and editor Stephen Jones, and with a foreword Introduction by director and screenwriter John Landis (An American Werewolf in London), this volume brings together fascinating and incisive commentary from some of the genre's most highly respected experts. 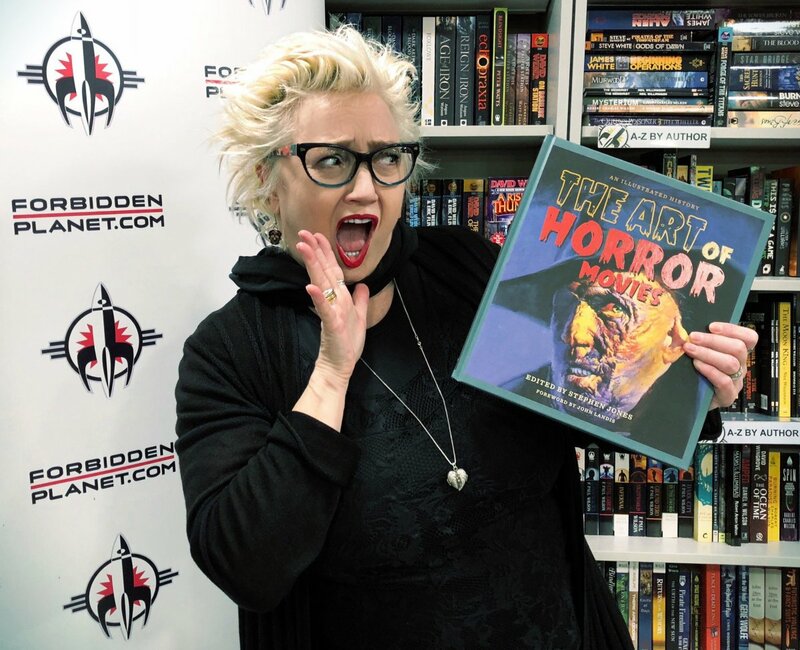 With eye-popping images from all over the world—including previously unpublished artwork commissioned especially for this book—The Art of Horror Movies is the definitive guide for any fan of horror films and cinephiles of all ages. 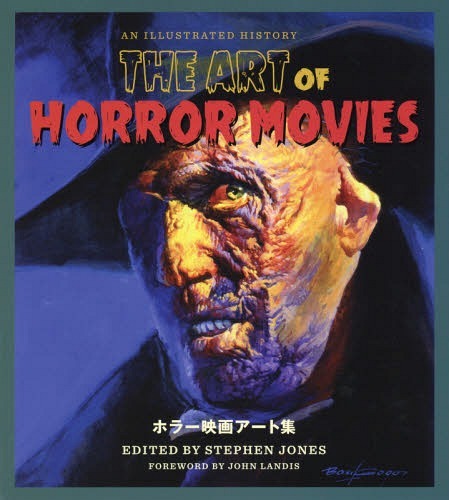 "A must-have for any serious horror historian or lover of great art . . . 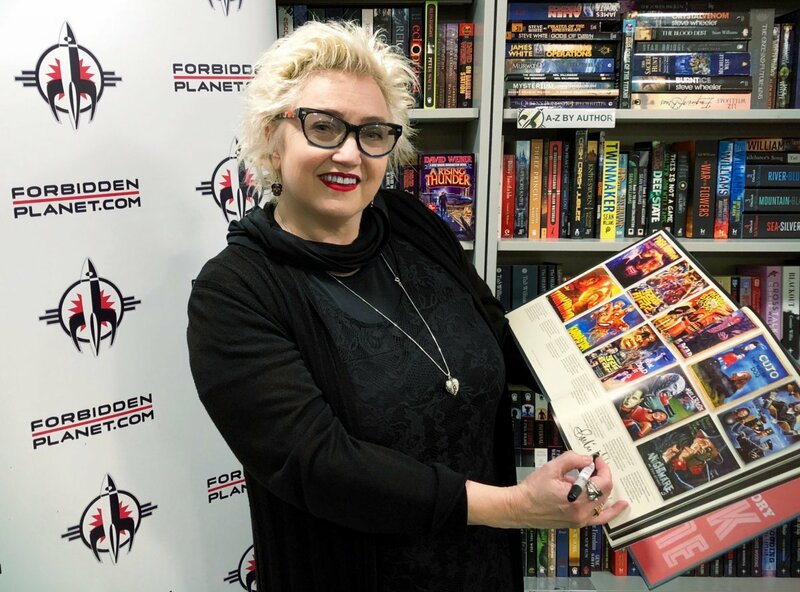 This is THE art book for fright film fans and if that sounds like you, then consider the treasured titanic tome a necessity." "This book bursts with incredible visuals covering a broad range, both in terms of time (from the early 1900s to the present) and geography (art from many countries rarely thought of in this context), with an added depth of the uniformly well-written accompanying texts." 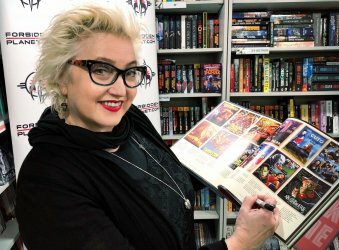 "A coffee table book for horror geeks, which supplements its thorough decade-by-decade history of scary movies (each from a different author) with a remarkable array or rare posters, ads, and archival illustrations original artwork. The result is a terrific volume that's both chic and disreputable." 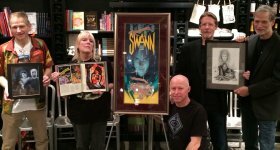 "Jones celebrates the gorgeous and gory world of horror-film posters, from classics of the silent era to offerings as modern as Crimson Peak." 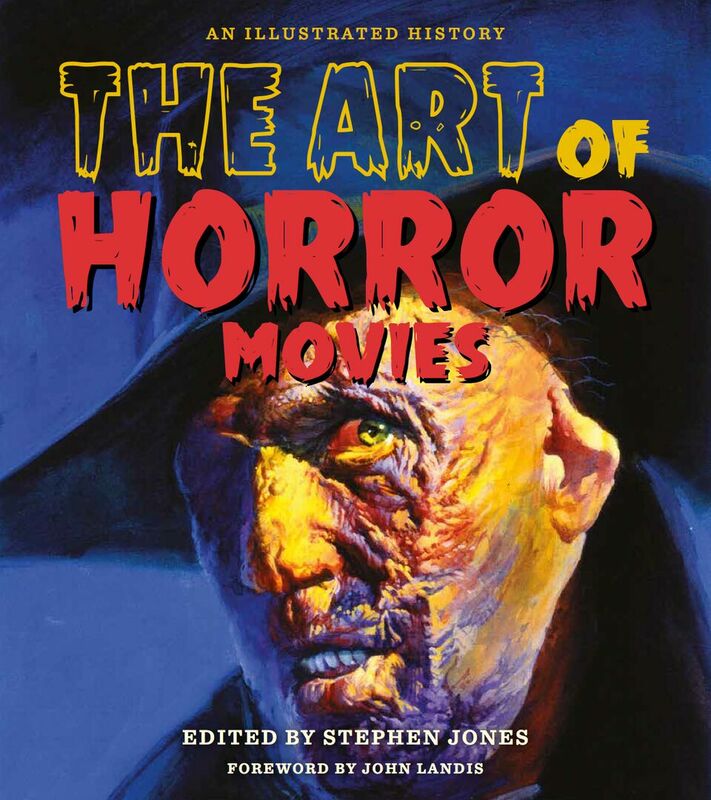 "The seriously page-turning coffee table book The Art of Horror Movies: An Illustrated History by Stephen Jones not only looks at the entire history of the horror film, but also assaults the eyes (in a good way) with a seemingly endless cavalcade of film posters. 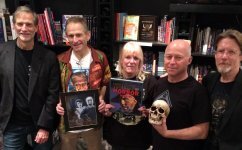 Trace the evolution of horror films through decades of horror filmmaking and get lost in over six hundred arresting images from the films that made us jump and fear the dark." 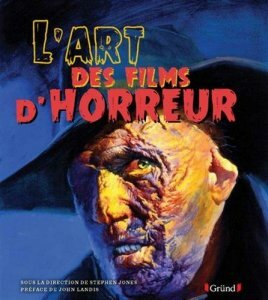 "Horror movie buffs will find The Art of Horror Movies impossible to resist . . . 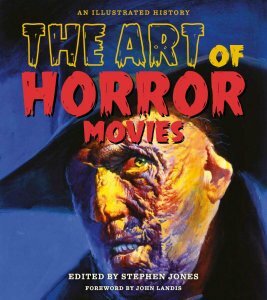 This art book is a treat for horror film enthusiasts, and overflows with vibrant images and fascinating film lore." 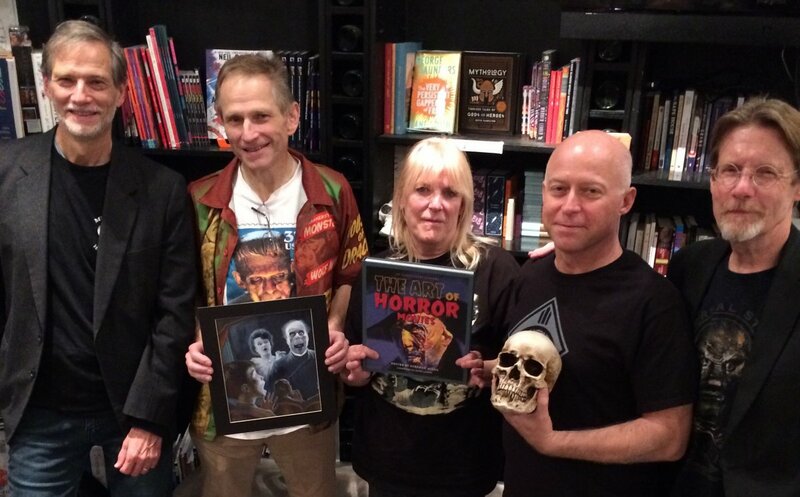 "A lavishly illustrated and beautifully presented history of horror movies . 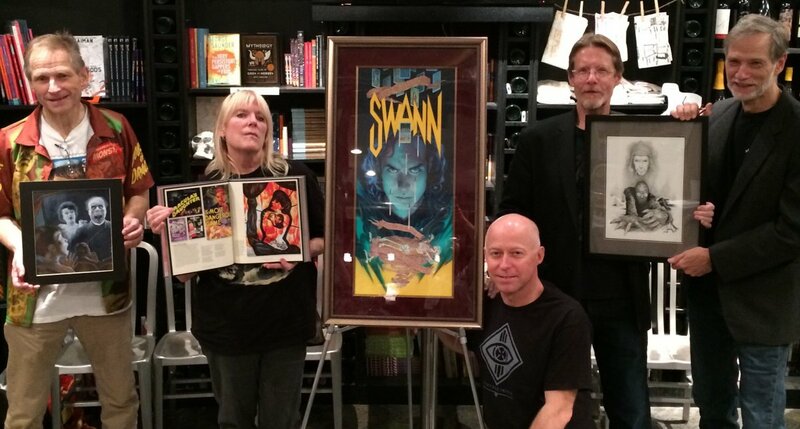 . . A stunning piece of work that deserves to be on the shelves of every discerning horror fan." 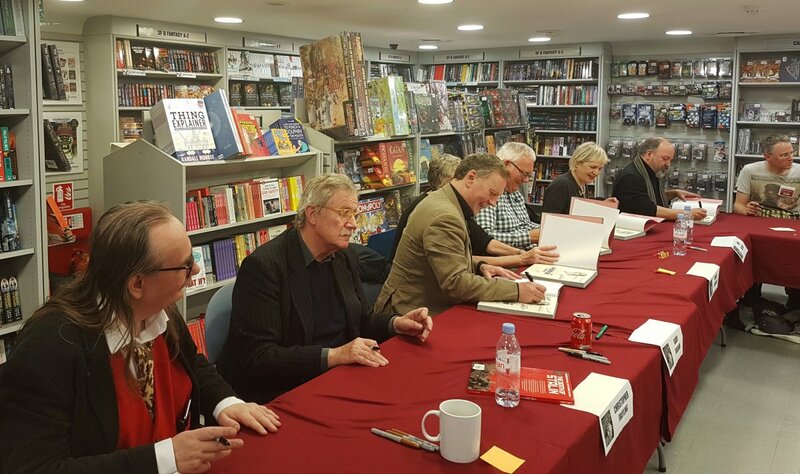 "A very balanced representation of the genre and many decades covered . . . Most of this stuff is incredibly sophisticated and detailed work which can only inspire multiple wows of appreciation. True fans of horror through the ages cannot fail to treasure this beautiful book. Buy it if you can; you won't regret it. I can't recommend this highly enough." "Divided into nine chapters that cover the various periods of celluloid terror, The Art of Horror Movies not only provides the promised visual history, but also a brief but highly informative written account of the decades' standout films . . . If you're a horror movie fan (and if not, why not? ), a lover of cinema in general, or just like looking at stunning images, this book is for you. A potted history of the genre and some of the most beautiful film posters ever created, what's not to love?" 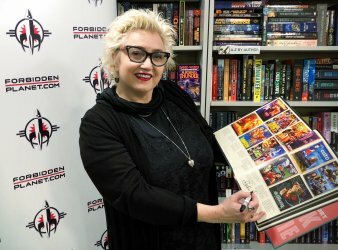 "It's a only a few times a year that a horror genre book comes out that is so stunning, it becomes a must-own right out of the gate . 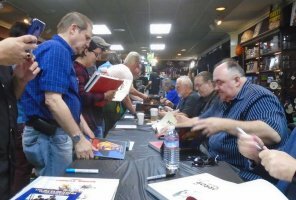 . . this year's perfect coffee table book." 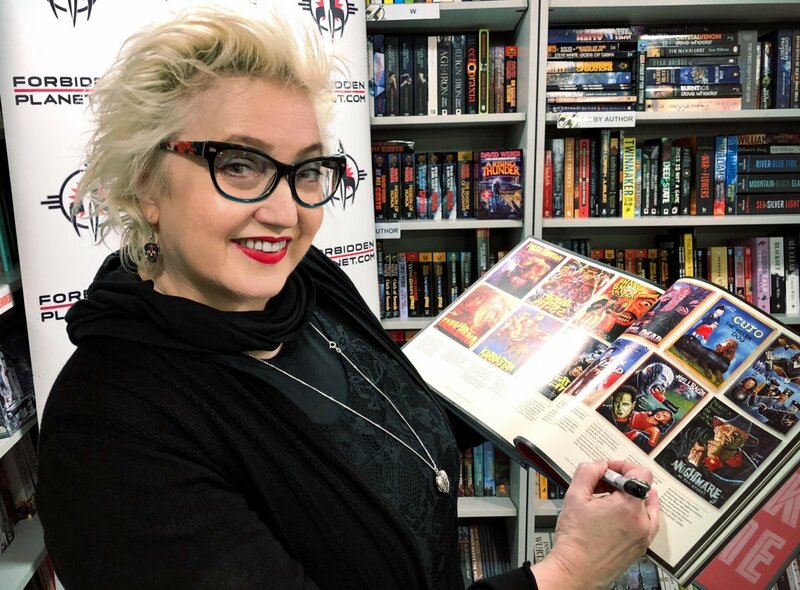 "Primarily a history of the lobby cards and posters that advertised the genre, The Art of Horror Movies shows that those artifacts are, like the films they represent, a mixed terrain whose lowlands of unconscionable schlock rise through foothills of mediocrity to peaks of artistry . 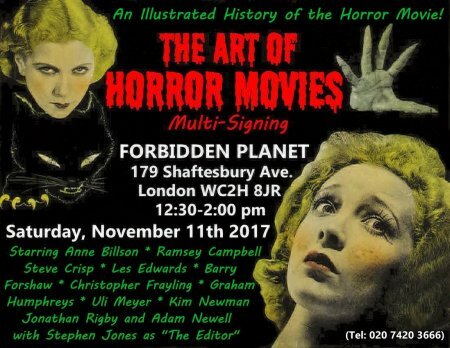 . . British horror writer Stephen Jones edited The Art of Horror Movies with an eye toward encompassing the scope of a genre that-like many of its monsters-refuses to die." 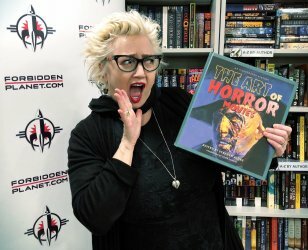 Actress and author Barbie Wilde (HELLBOUND: HELLRAISER II) reacts to THE ART OF HORROR MOVIES.